Actually Chromebooks are great little machines with a wide range of features. However they are still struggling more than Mac, Windows or Linux computers when it comes to flawlessly playing video files. 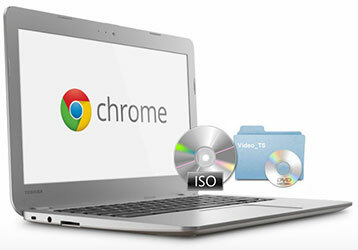 Here is the detailed Chrome OS supported media files type and codecs. You must have noticed that there is non support on DVD discs on Chromebook. You DVD won't play on Chromebook due to the absence of CD or DVD drive indeed. 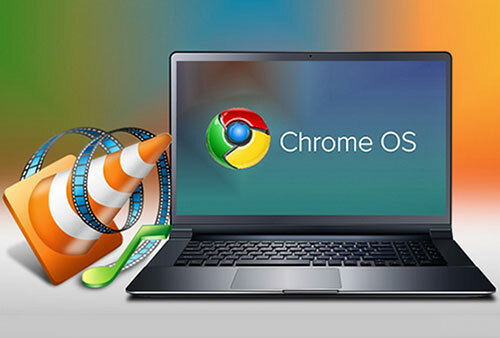 But if you do need play DVD on Chromebook, you can rip DVD to Chrome or Chromebook compatible formats, input DVD discs from external hard drive or turn to a Chrome OS based DVD player like VLC. DVD Discs - Both homemade DVDs or commercial DVDs, no matter the recently released DVD movies, 99-title DVDs, TV series DVDs, workout DVDs, and other damaged or unplayable DVDs. USB Drive (or SD card) - There is not too much requirements about USB drive or SD card. It is mainly used to store the ripped DVD for later Chromebook playback. DVD Ripper - A powerful DVD ripper is required here to rip DVD to Chromebook, regardless of any DVD encryption. 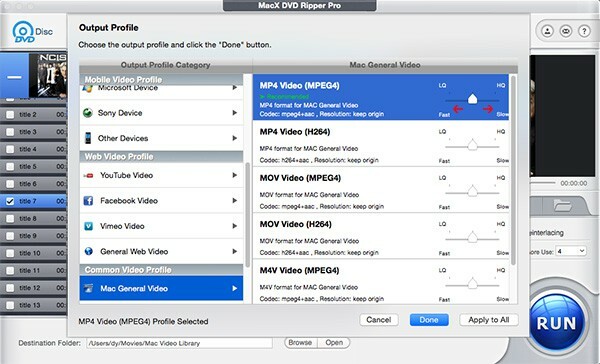 MacX DVD Ripper Pro is precisely the one that copy protected DVD to DVD regardless of copy protections (DVD CSS, region code, RCE, Sony ArccOS, UOPs, Disney X-project protection, etc) and ripping DVD to popular video audio formats like MP4, MOV, 3GP, WMV, AVI, FLV, M4V etc. [Tutorial] Rip DVD to Chromebook MP4 MOV MKV AVI etc. Free download the DVD ripper for Mac computer or Windows PCs and launch it. Insert your DVD disc to your computer DVD drive and click on DVD Disc button, choose the target DVD movie, and tap Open to load DVD file to the DVD ripping software. After DVD loaded, the program will select the right title automatically. And you can also see a popped up output profile window. 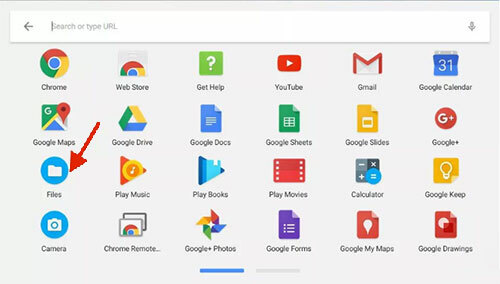 You are free to choose any Chromebook compatible formats like 3GP, MP4, MOV etc. for the ripping DVD. You can also backup the movie title of the DVD disc. Here we've picked MP4 Video, a general-purpose format that's acceptable for most devices. Then Click "OK". Step 3: Determine the output folder. Click "Browse" button to specify the output path to USB drive or SD card for ripped DVD storage. Meanwhile, you can also do some settings to optimise your DVD ripping process, for example, tick the box of Hardware Encoder to improve the DVD ripping speed provided that you chose to rip DVD to H.264; or check the box of Deinterlacing and safe mode to optimse the output quality though it may have a little impact on speed. Step 4: Start Ripping DVD to Chromebook. Hit "RUN" button to start ripping DVD to Chromebook. The process will be finished in a very short time. In our test, only 5 minutes 43 seconds were cost to rip DVD I Am Warth DVD to MP4 H.264. After all things done, move the ripped DVD movies to your Chromebook could come to the next important thing. With USB external drive plugged in, you have two options: drag and drop or copy and paste. The Downloads folder is where all of your Chromebook's local files are stored. All you need to do is to drag and drop the converted DVD to Downloads folder or press Ctrl+C and Ctrl+V to copy and paste the DVD media files to Chrome OS. Then you're able to watch DVD files on Chromebook with excellent video quality. 1. Get start from Chrome web Store and search for VLC. Go ahead to click on Install and add app to Chrome. Once it installed, you can close the web store and launch the program by clicking on the search button and type VLC. 2. Click on hamburger menu up here, click open and then choose the DVD that you want to play. Unfortunately, it doesn't have support to play DVD movies currently for all dvd menus. But you can open one of video files in here and it actually will play the video, so in this case you're watch DVD movies on Chrome OS and it plays just fine. Note: VLC won't play DVD issues frequently crop up owing to various reasons. You may be unable to open DVD, VIDEO_TS folder in VLC or DVD is ejected; The DVD video and audio are massively choppy on VLC; or VLC crashes on halfway. Thus you're more encouraged to rip DVD to Chromebook supported formats for watching. Given the limited space and absence of DVD drives on Chromebook, many people are willing to using an external DVD drive to play DVD movies on Chromebook. It's surely feasible. But before you buy one, you need make sure you know what you can and can't do with it. Chromebooks can read disc types such as CD, CD-RW, DVD, DVD-RW, Blu-ray, Blu-ray RW. And to reaed DVD media, plug in the external hard drive to your Chromebook via USB. Insert a disk that has regular computer files. Then access the files in the same way you would access your local files by clicking Launch > Files. With top DVD ripper in hand, now you can easily rip and play DVDs on Chromebook with MP4, MOV, MKV, AVI, etc. digital formats while keeping 1:1 high quality. Plus, you can also transfer DVD movies to iPhone iPad Android for watching without any limits.